What is God Like? Hebrews 13:8, reminds us that He is the same yesterday, today, and forever. But has our view of God changed throughout the generations? A.W. 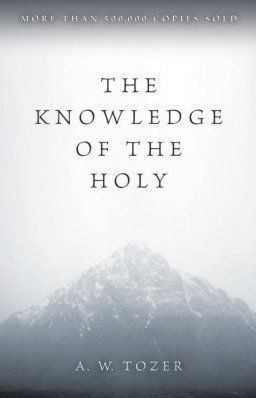 Tozer offers a challenging and thought provoking challenge to the modern church. The following article is from the book Knowledge of The Holy published in 1961. For this reason, the gravest question before the Church is always God Himself, and the most portentous fact about any man is not what he at a given time may say or do, but what he in his deep heart conceives God to be like. We tend by a secret law of the soul to move toward our mental image of God. This is true not only of the individual Christian, but of the company of Christians that composes the Church. Always the most revealing thing about the Church is her idea of God, just as her most significant message is what she says about Him or leaves unsaid, for her silence is often more eloquent than her speech. She can never escape the self-disclosure of her witness concerning God. Were we able to extract from any man a complete answer to the question, “What comes into your mind when you think about God?” we might predict with certainty the spiritual future of that man. Were we able to know exactly what our most influential religious leaders think of God today, we might be able with some precision to foretell where the Church will stand tomorrow. Without doubt, the mightiest thought the mind can entertain is the thought of God, and the weightiest word in any language is its word for God. Thought and speech are God’s gifts to creatures made in His image; these are intimately associated with Him and impossible apart from Him. It is highly significant that the first word was the Word: “And the Word was with God, and the Word was God.” We may speak because God spoke. In Him word and idea are indivisible. That our idea of God corresponds as nearly as possible to the true being of God is of immense importance to us. Compared with our actual thoughts about Him, our creedal statements are of little consequence. Our real idea of God may lie buried under the rubbish of conventional religious notions and may require an intelligent and vigorous search before it is finally unearthed and exposed for what it is. Only after an ordeal of painful self-probing are we likely to discover what we actually believe about God. Before the Christian Church goes into eclipse anywhere there must first be a corrupting of her simple basic theology. 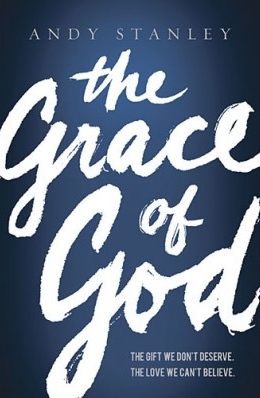 She simply gets a wrong answer to the question, “What is God like?” and goes on from there. Though she may continue to cling to a sound nominal creed, her practical working creed has become false. The masses of her adherents come to believe that God is different from what He actually is; and that is heresy of the most insidious and deadly kind. 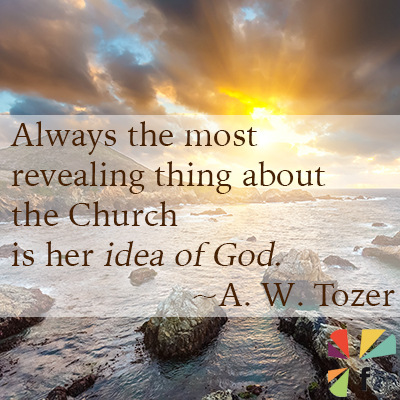 Evaluate what Tozer has to say. Are his warnings of value for the Church today? How do we maintain a correct understanding of who God is?